What a great thread. Thanks for turning me on to it Huna. 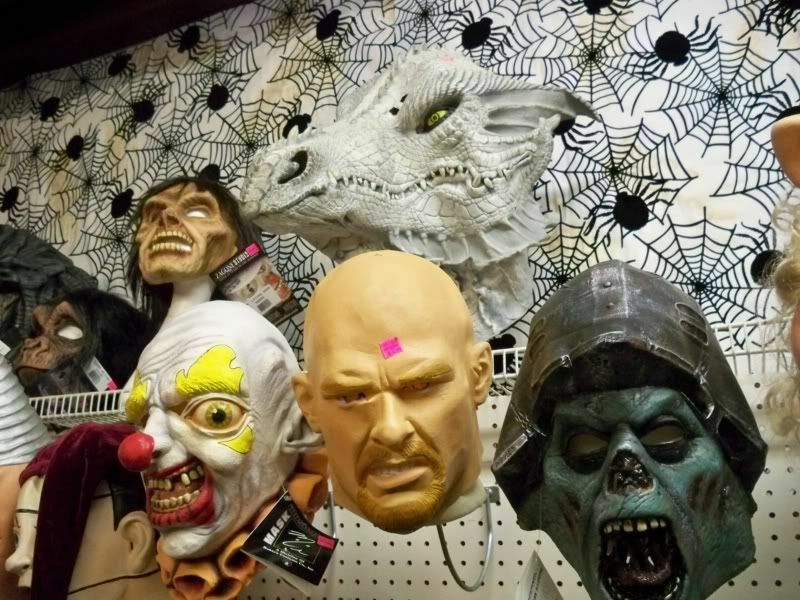 I am looking for a pic of the DP Kirk mask, preferably on a store shelf. My son's band, TurboVamps! 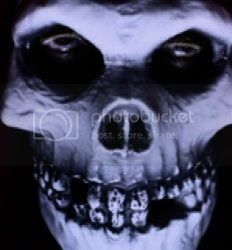 is releasing an EP with five versions of their song RETURN OF THE KILLER, which is about Michael Myers. I thought it would be fun to find a pic like this to use on the CD sleeve. Anyone able to help? Excellent pics, Bobby!!! 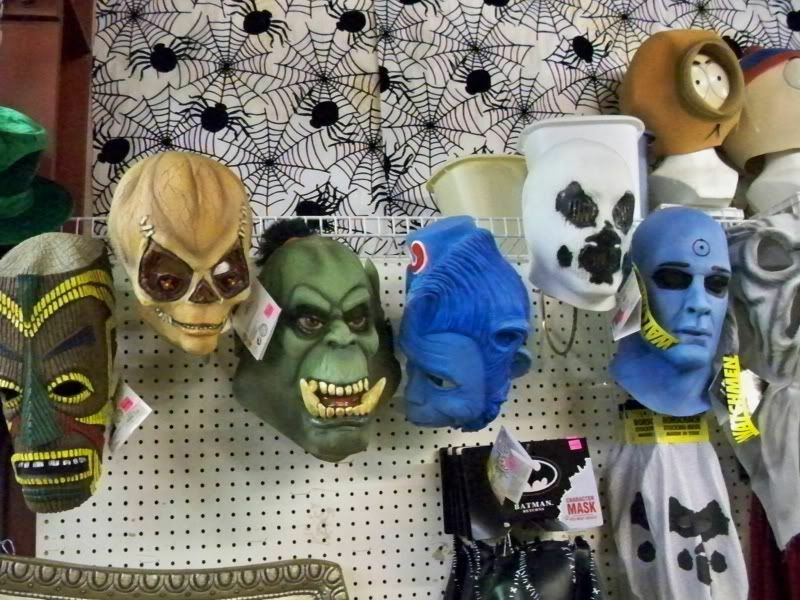 I see a lot of "Mario Chiodo / Seasonal Vision" masks I dig. 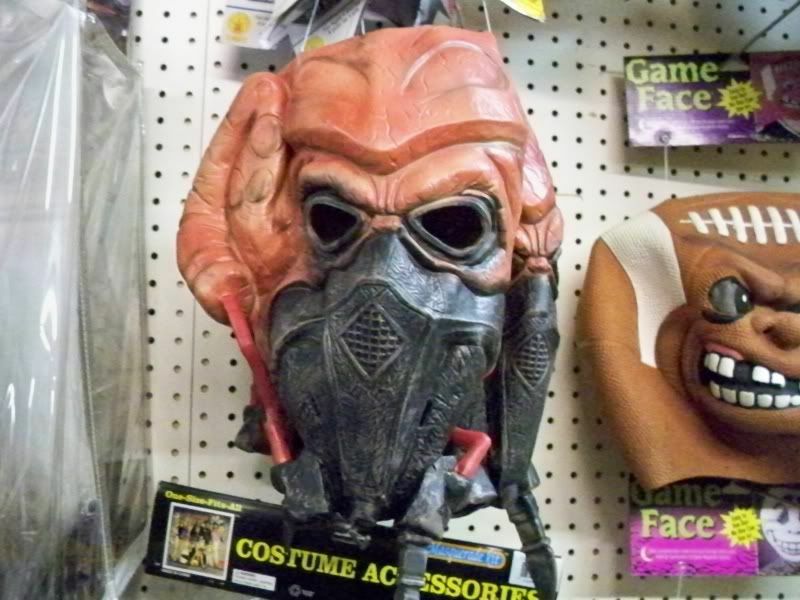 I'm also diggin the DP "Prince Char-ming mask"!!! 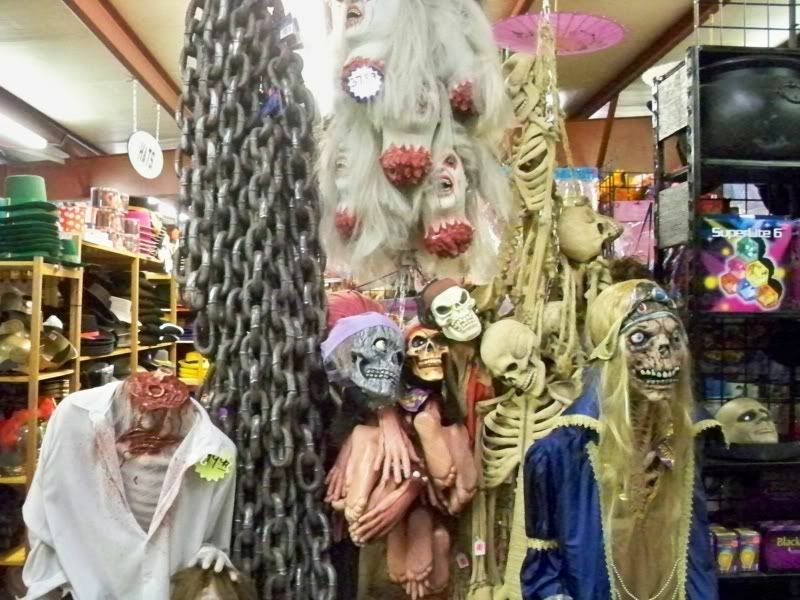 Hopefully I'll find a Halloween USA on my fall trip this weekend. 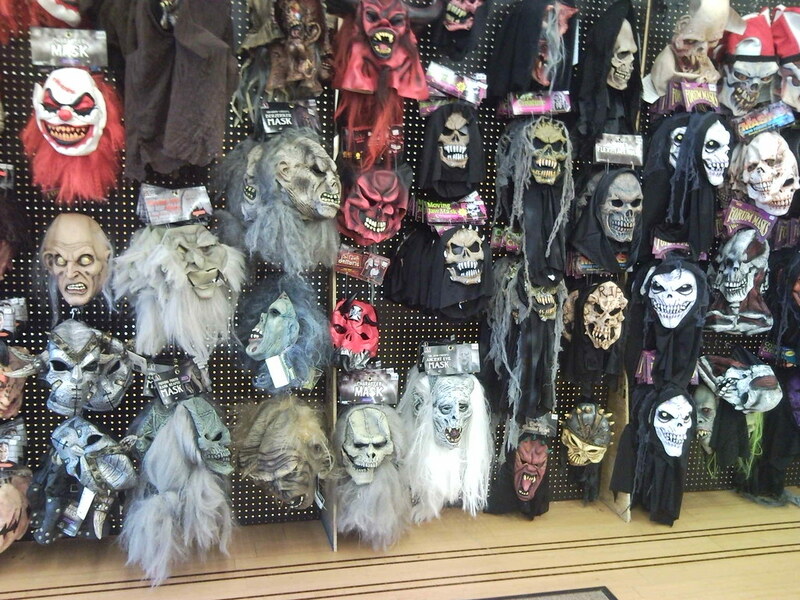 Looks like their mask selection puts Spirit's to shame! I didn't take this, I saw it on Flickr. 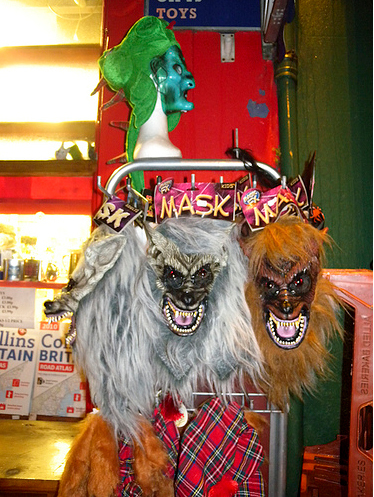 It's a shop in Scotland with some masks. I'll try to take some pics of mine tomorrow. to my beautiful hometown of Savannah, Georgia. What a GREAT visit! 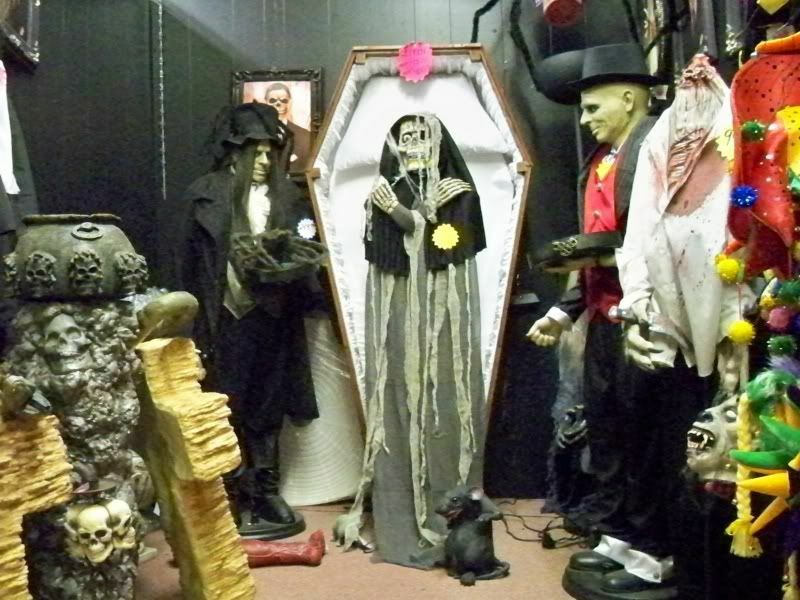 the visit and contribute them to this costume shop discussion. I prepared ahead of time. 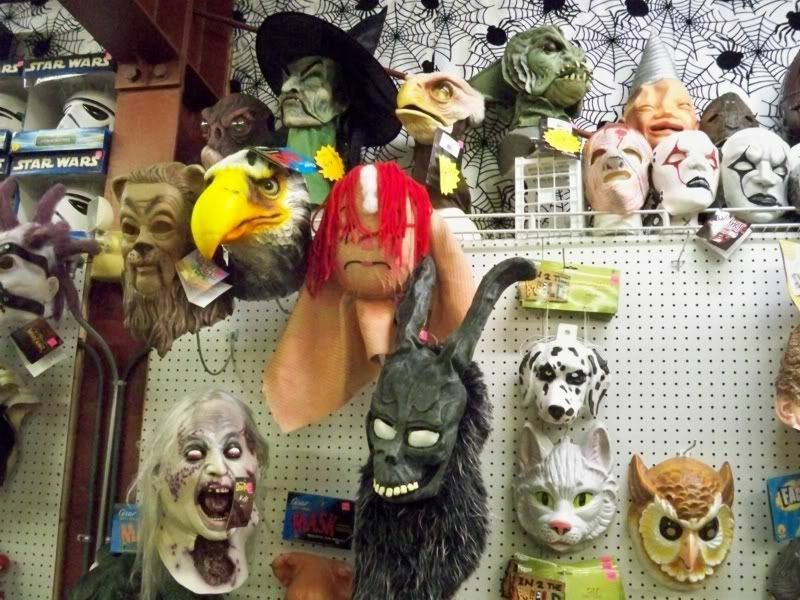 interested in masks, mostly horror, and that we have a nice section showcasing our local costume shops. 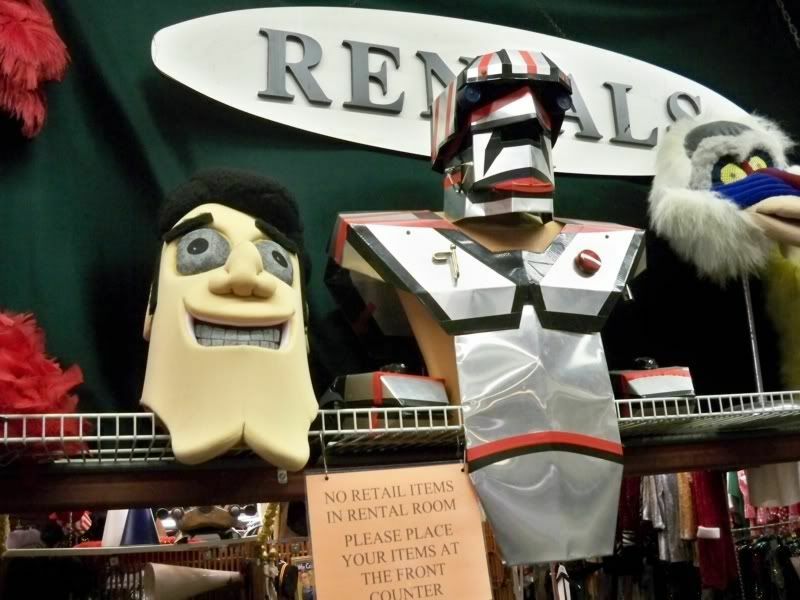 I just wanted to get it right because, well, "Hey, can I take pictures of your merchandise?" could come out a little clunky! and special effects guru Rufus Trigg. What a great bunch of people! She is the 2009 President of the National Costumers Association (http://www.costumers.org). 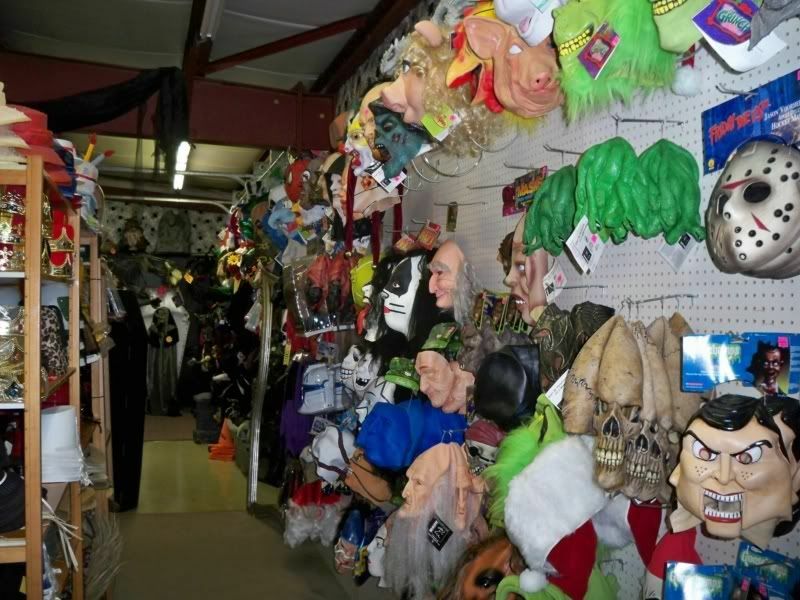 The NCA is a professional association of locally-owned costume shops around the country. 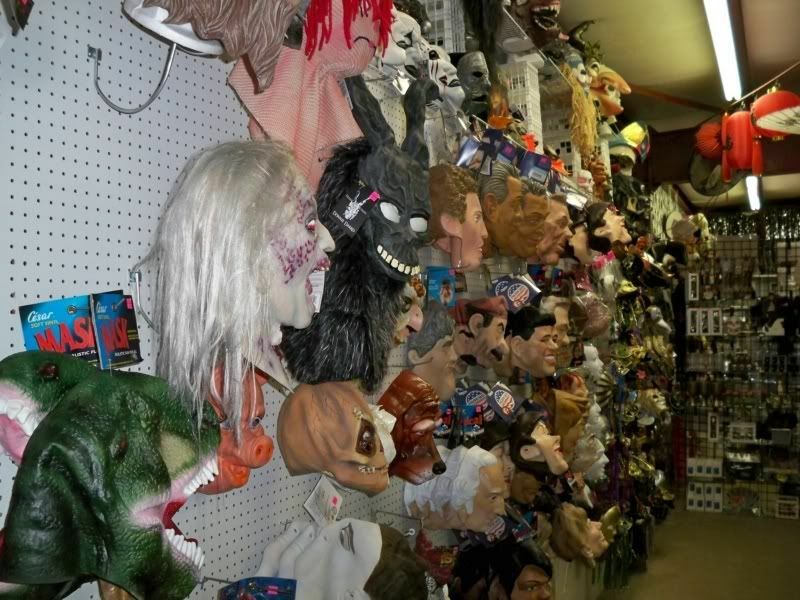 Nancy also makes a lot of their rental and animal costumes by hand. We'll see some photos of those in a minute. 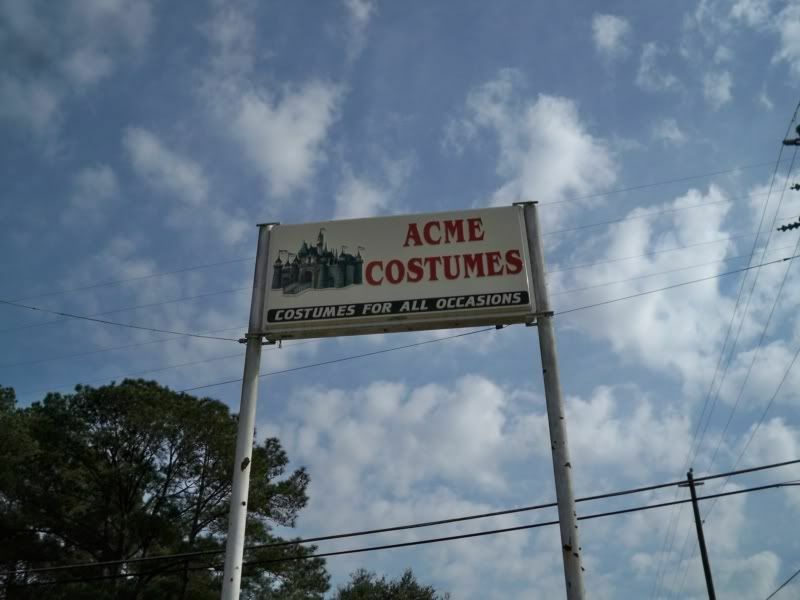 expanding eventually to the retail location they have today. 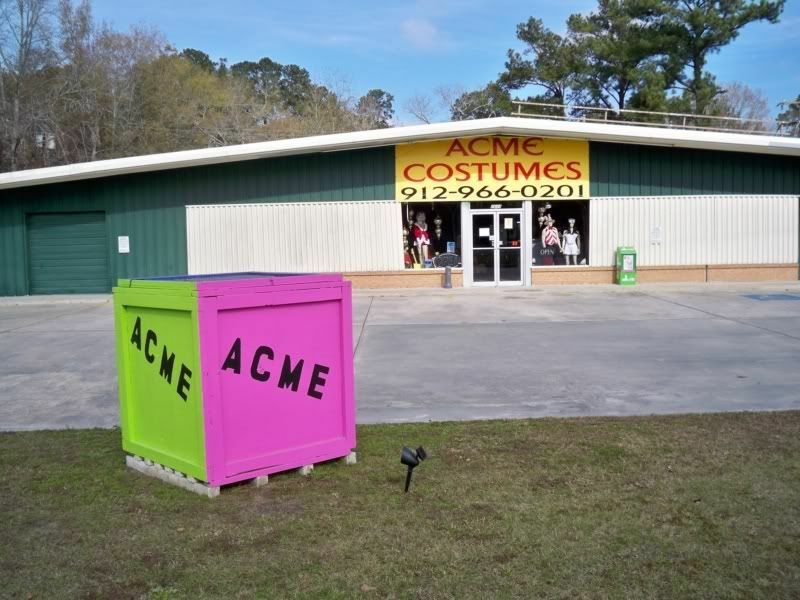 Acme is open year-round. 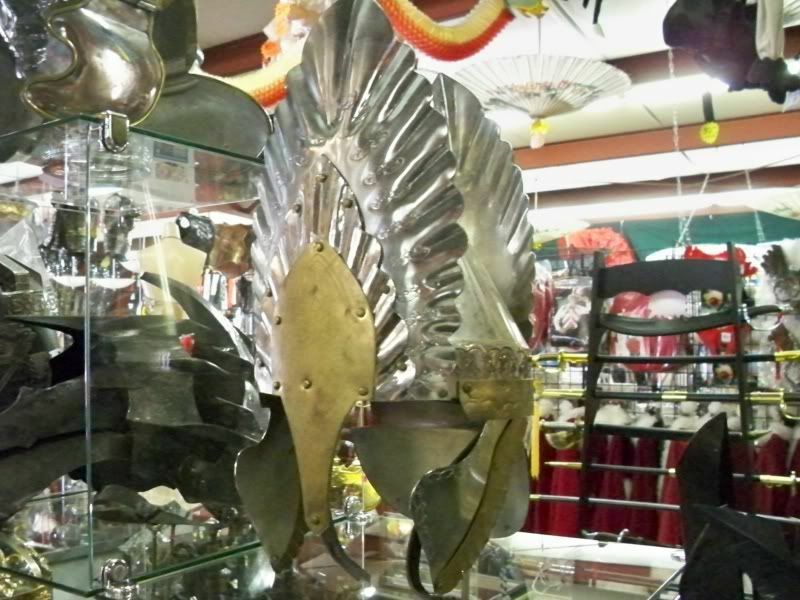 student projects with the nearby Savannah College of Art & Design, and Mardi Gras. Rufus was cool to talk with, really genuine. 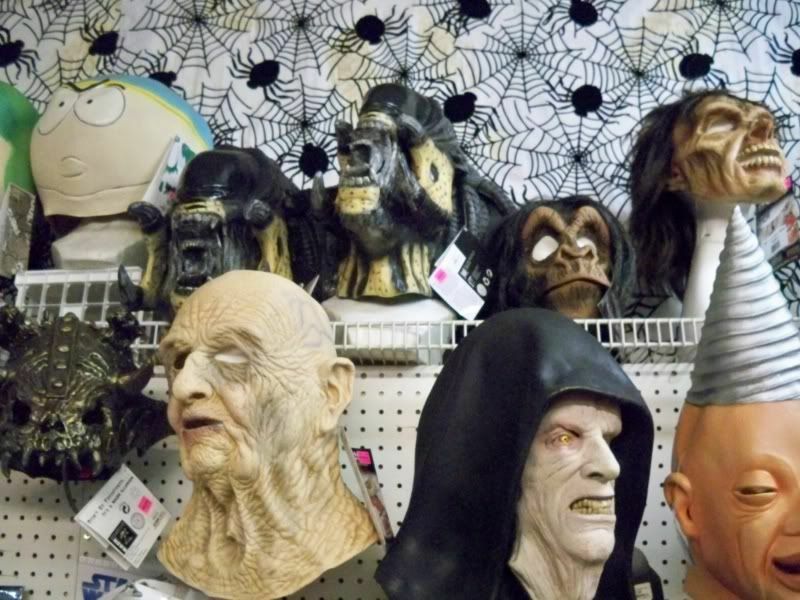 He's got a lot of experience in the makeup and special effects areas. After my visit, I found a great article interviewing him here: http://savannahnow.com/node/420285. Gary let me take photos in the store, and we discussed some of the products. 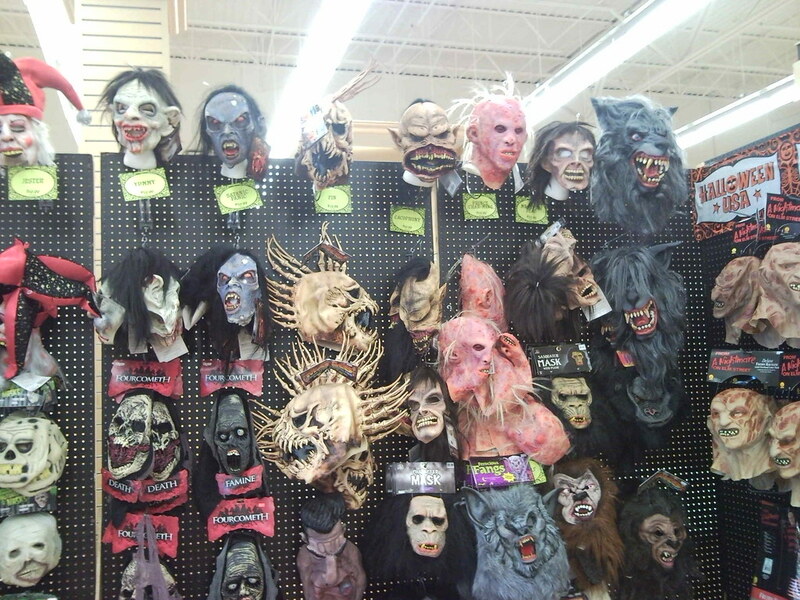 He asked me to note that some of the displays and mask wall aren't in full-bore Halloween mode. So, I'll have to come back in high season for some of that! I did the best I could on mask/character names, please PM me with any name corrections and I will edit here. Let's start with the tour! Here's the sign out front. I love the castle theme. The storefront, with Christmas displays featured in the windows. There are no cars because your humble writer showed up on New Year's Eve without calling ahead. I came back on the 2nd to go inside and for the following photos. 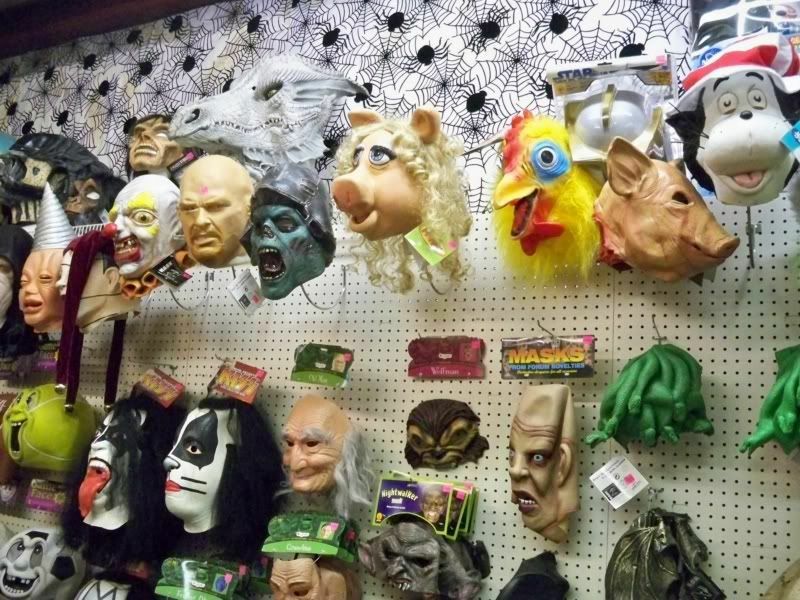 a hint of Leatherface on the left, and Beetlejuice up top. 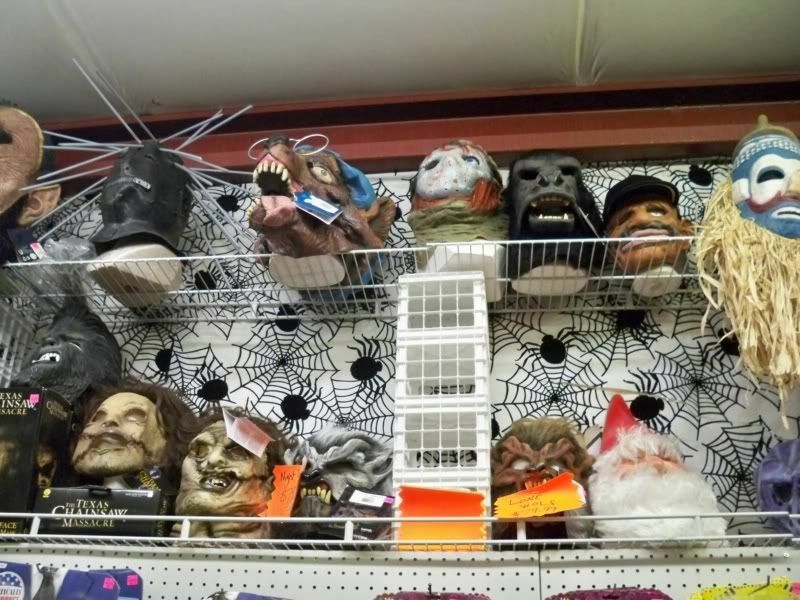 Freddy Krueger and Leatherface on right, Yaka Tribe on top leftish. 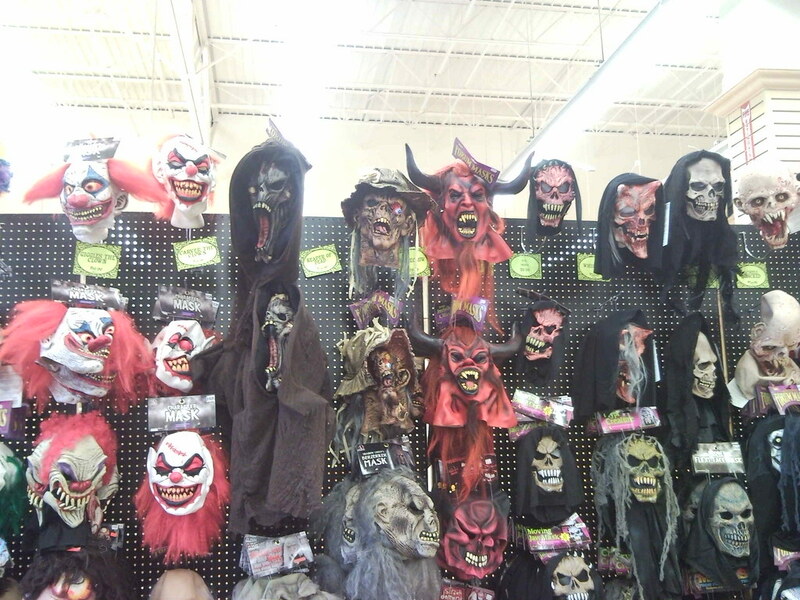 Slipknot on the left, Leatherface First Kill and Leatherface on the left. 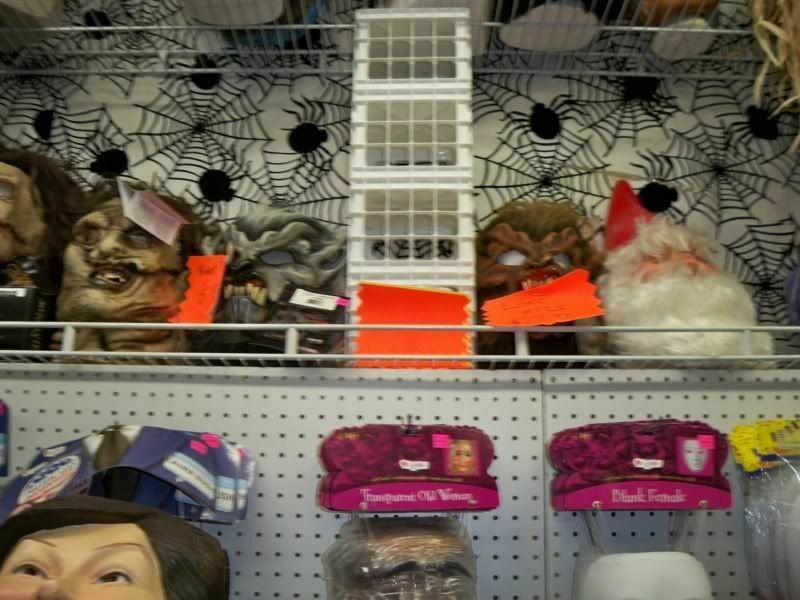 I think two of the originally Rick Baker-designed Wolfman aka Don Post "Smudge" on the bottom. 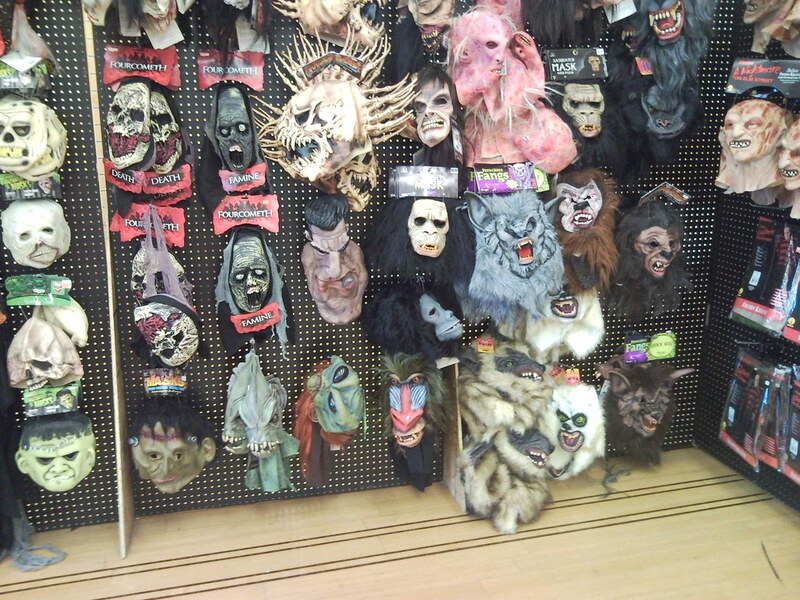 Gary explained to me that the four masks on top have moveable jaws. Frank, the rabbit figure from Donnie Darko on the bottom. Cowardly Lion from Wizard of Oz on the left, keeping things grounded. 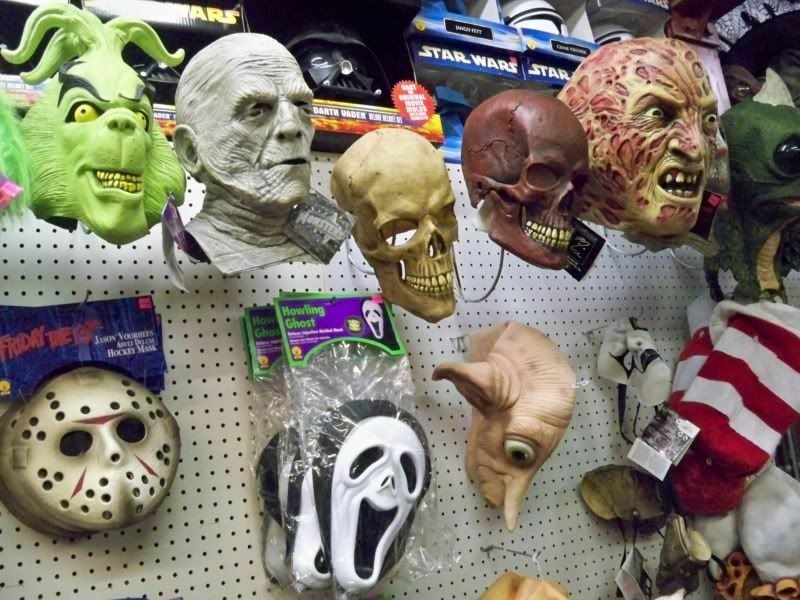 (L-R) The Grinch, The Mummy (Silver Screen Edition), Skull, red Skull, Freddy, and Sleestak. I just realized that's Dobby from the Harry Potter films under the Skulls. 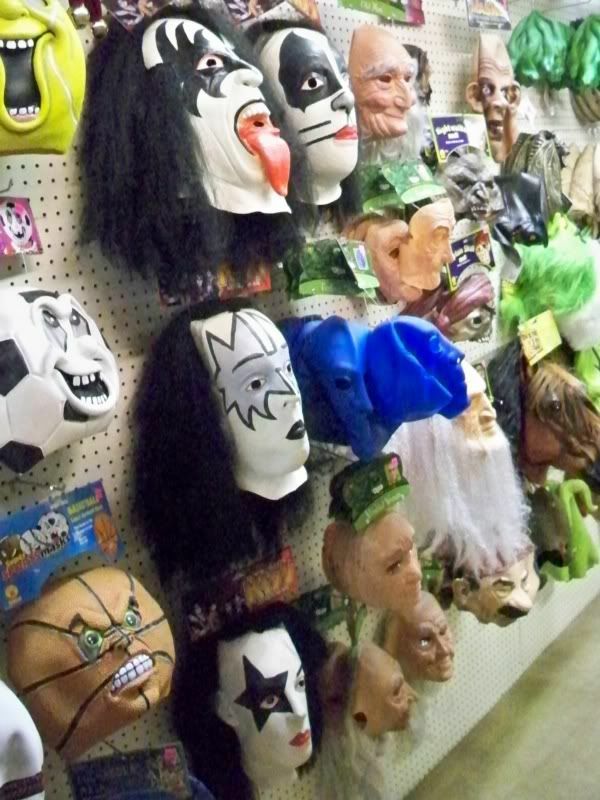 Demon and Catman from KISS on the bottom left, AKA Gene Simmons and Peter Criss. in the band wearing those particular makeup schemes. On with the tour! The full KISS lineup, with some Blue Man Group. 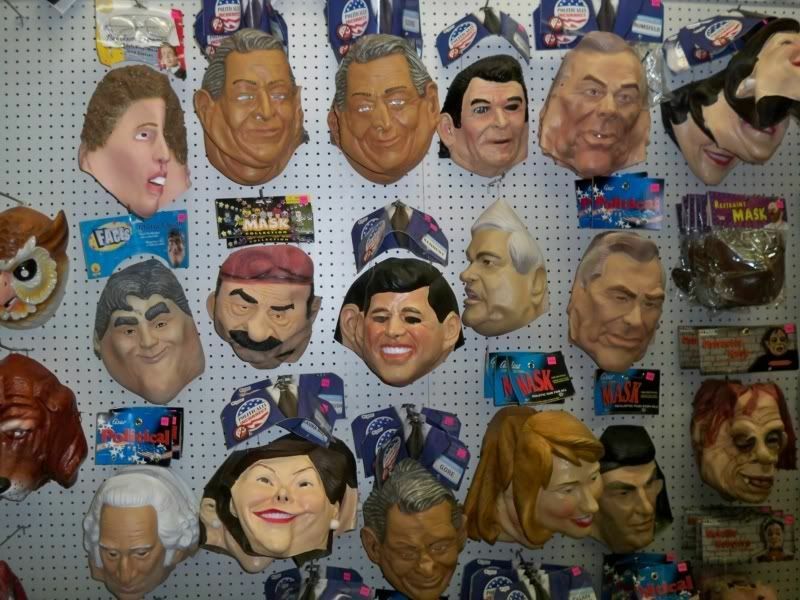 Look for another cameo by Saddam on the bottom. 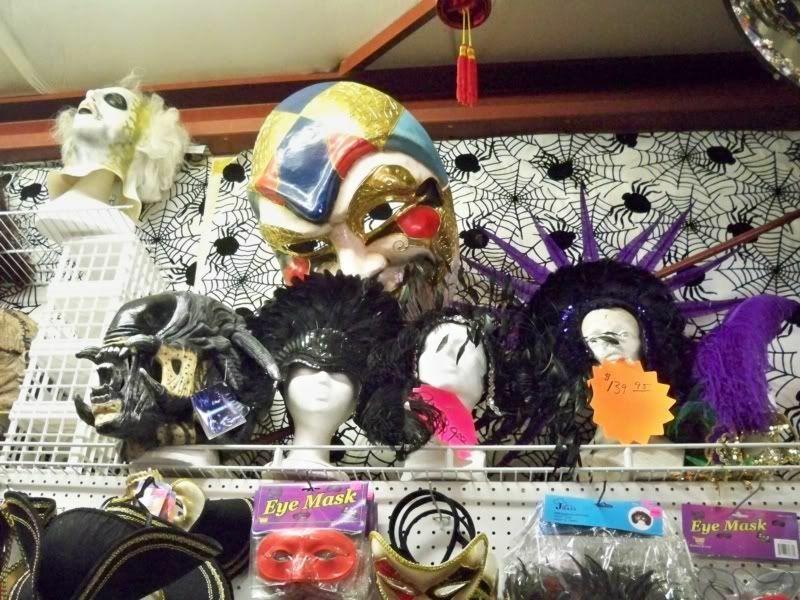 A couple of the Super Sports Masks "ballhead" masks on the left. 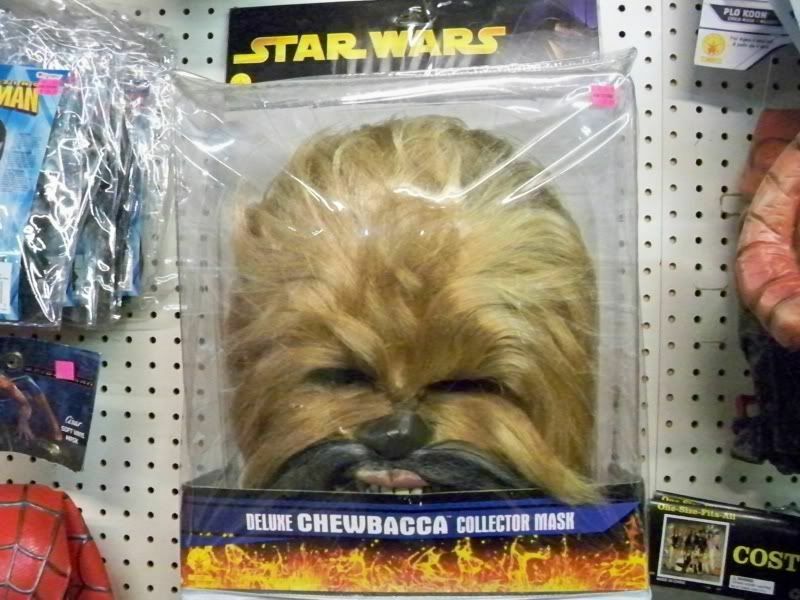 Star Wars Chewbacca Deluxe mask. "Now, young Skywalker, you will die!" This is my favorite photo from the visit! Orc from World of Warcraft, with Rorschach and Dr. Manhattan from The Watchmen on the right. South Park's Kenny on top right. 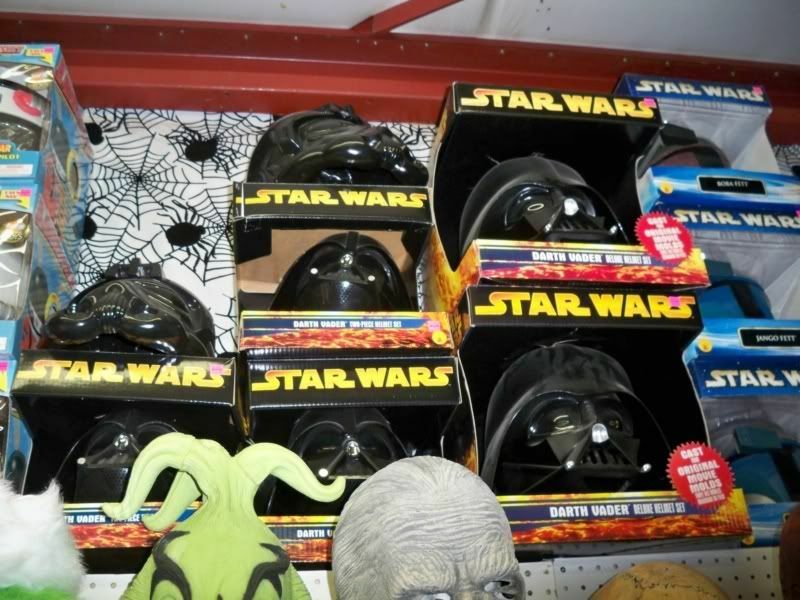 "You will never find a more wretched hive of scum and villainy." from Rubie's, using the old Don Post Studios designs. 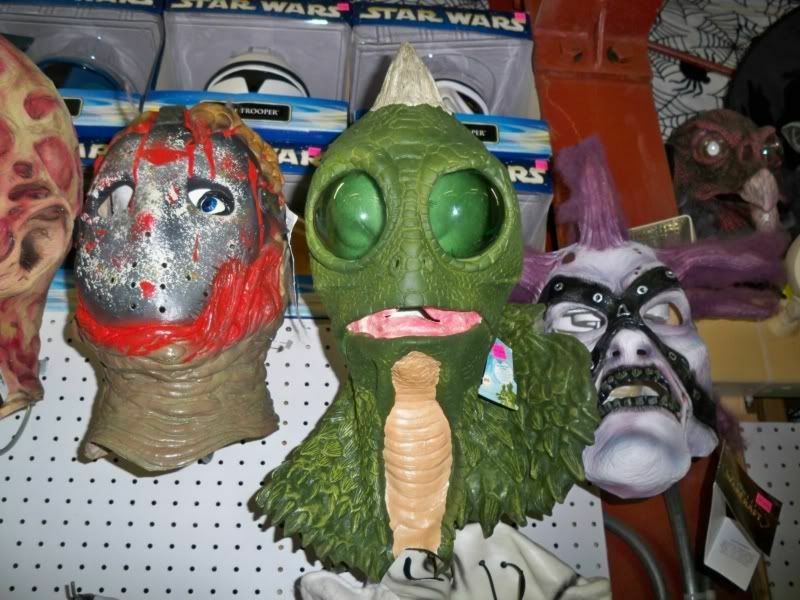 The dreaded Sleestak from Land of the Lost. 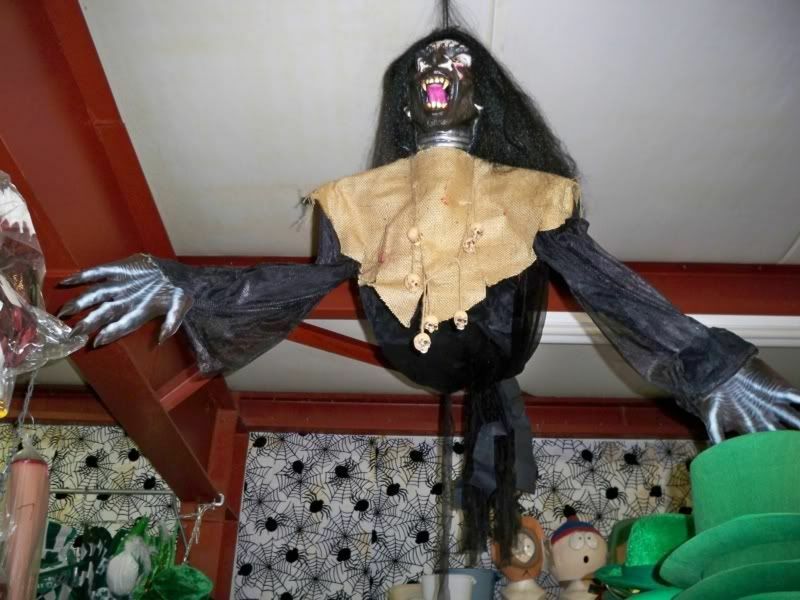 Gah those things were creepy on Saturday mornings! 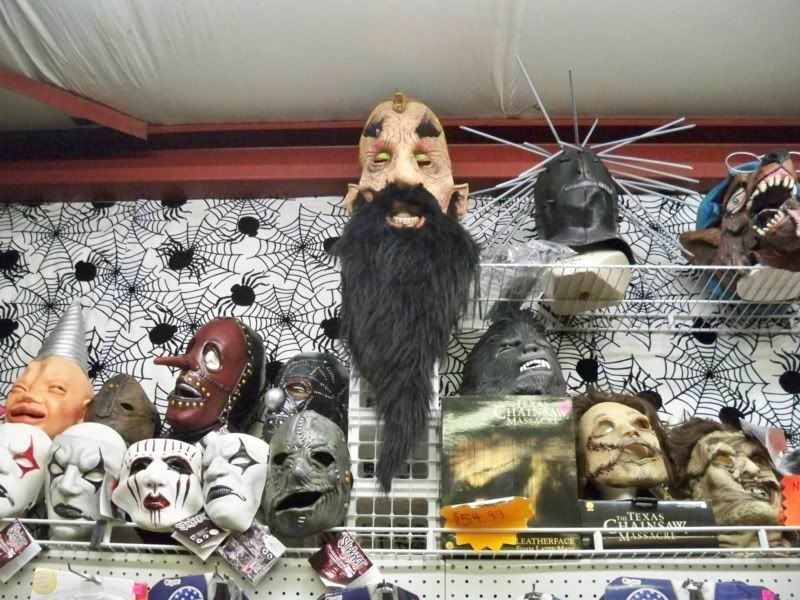 A World of Warcraft Forsaken mask on the right. 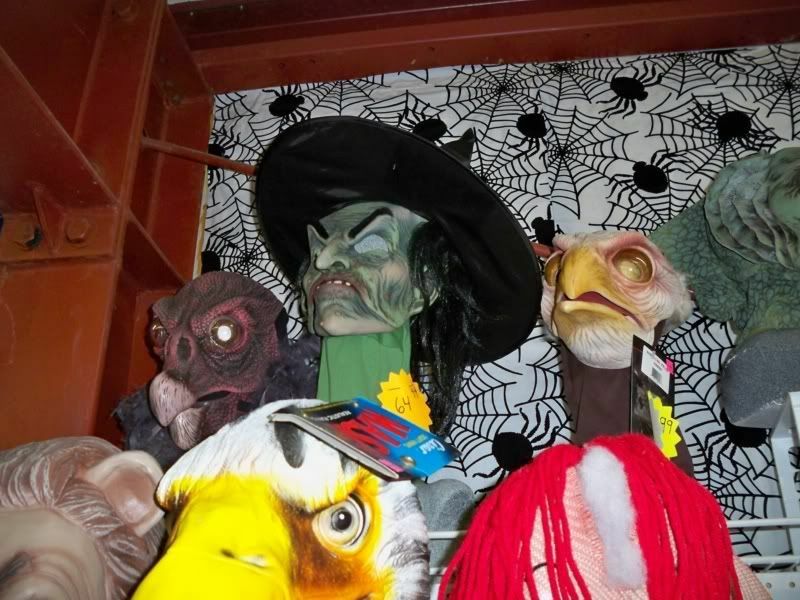 vulture, witch, eagle (my words). 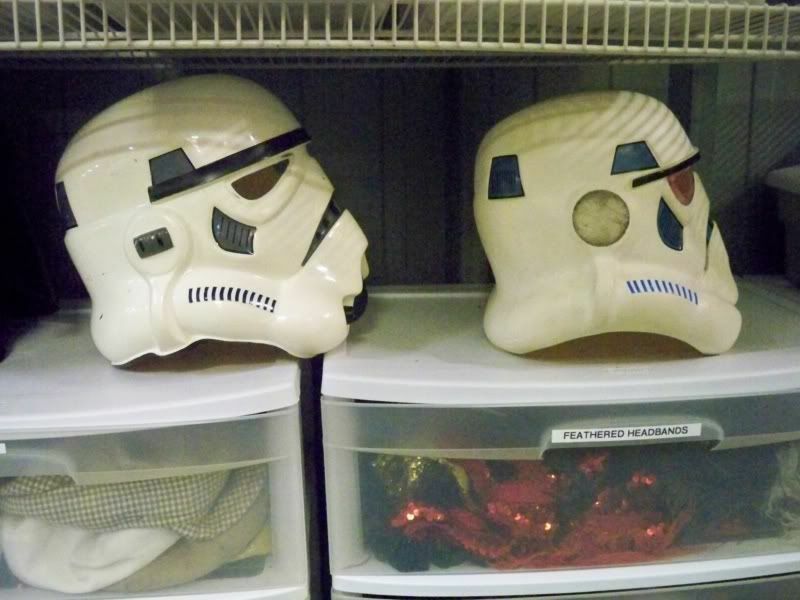 These are the wearable masks with the moving jaws. what I was looking while I was there, I would have got one. Next trip! 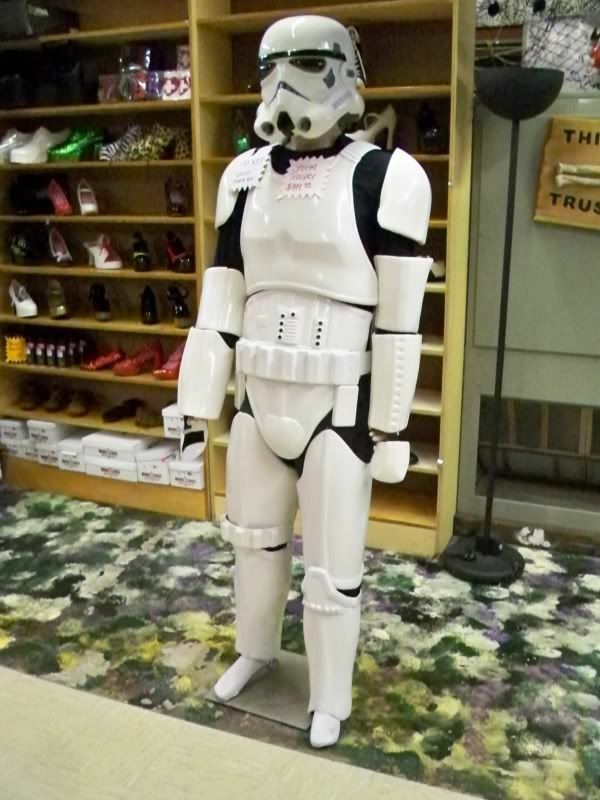 "Put Captain Solo in the cargo hold." 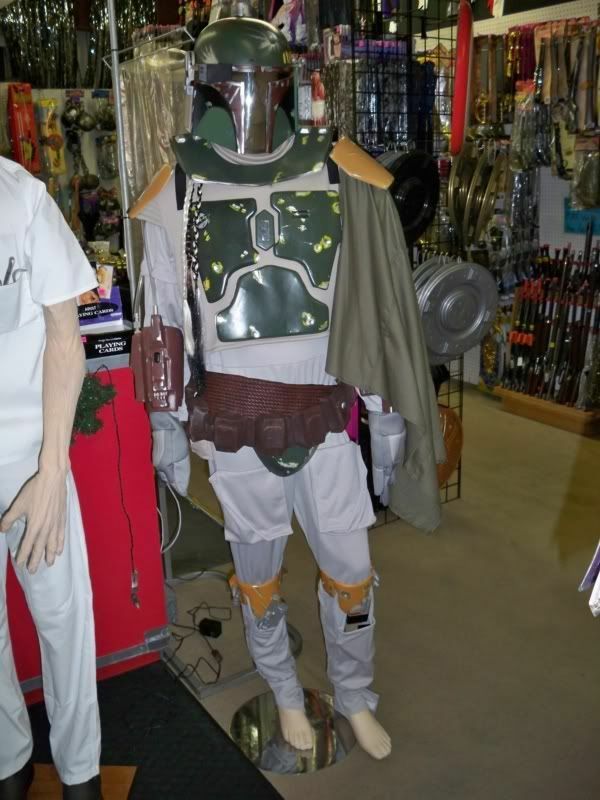 The new Rubie's Supreme Boba Fett complete costume. than the half-visor on the standard helmets. 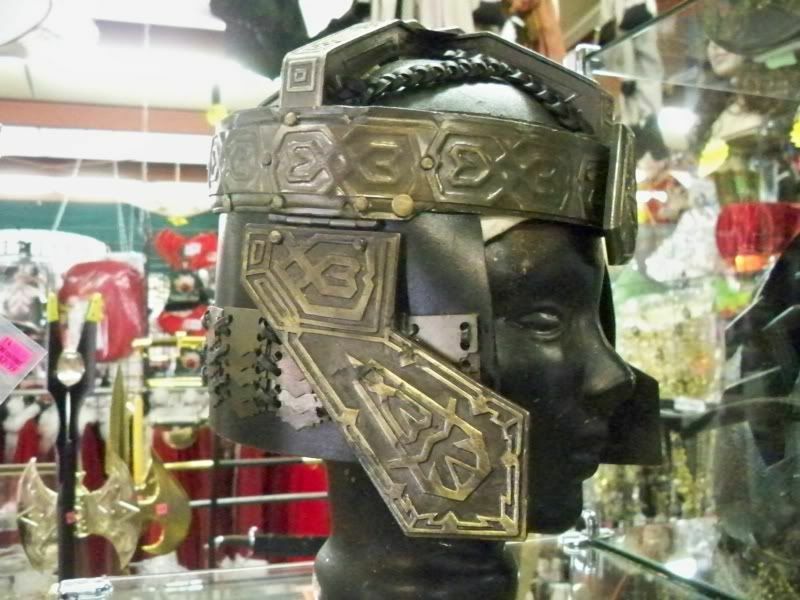 This is a pretty cool-looking Moria orc trapjaw helmet, from Lord of the Rings. 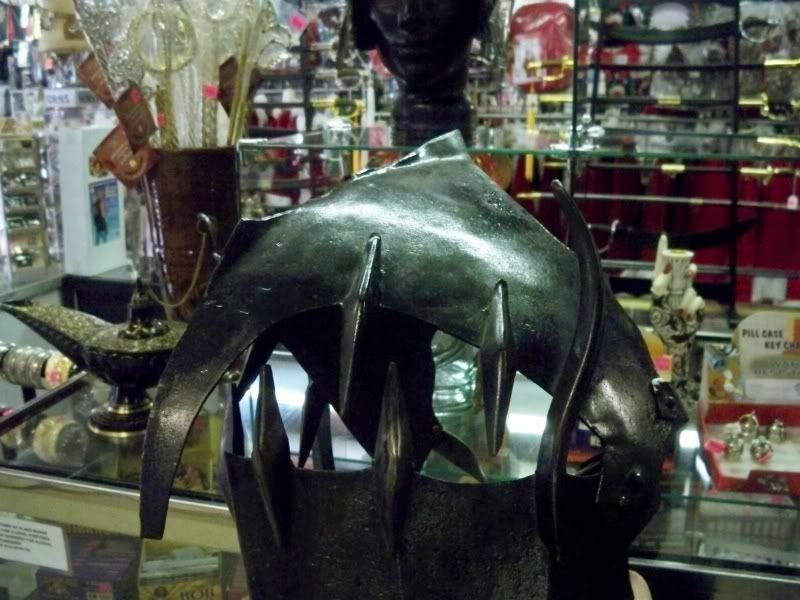 A creative take on a Lord of the Rings Sauron helmet. I forgot the manufacturer's name, it started with a Z? It's not United Cutlery in this case. 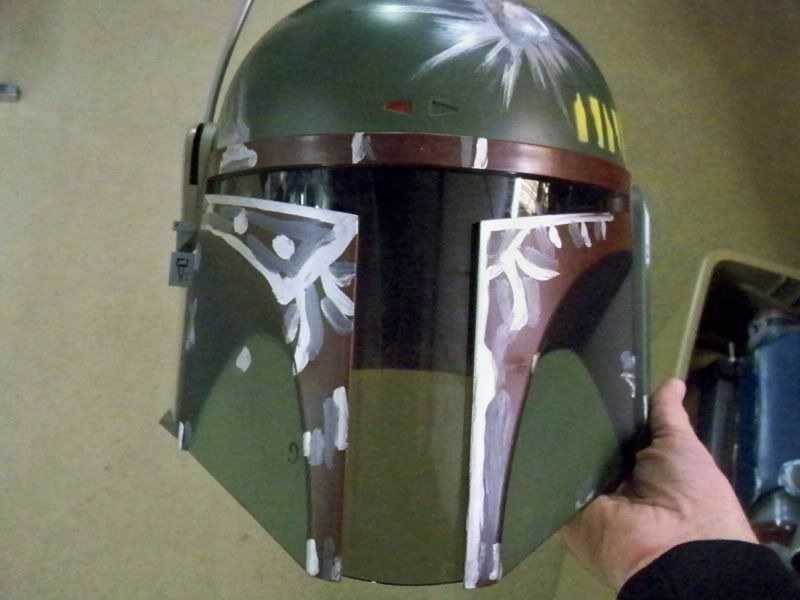 Rental Rubie's Star Wars Boba Fett helmet from the new Supreme costume, with weathered details. and a standard with the foam earpieces on the right. 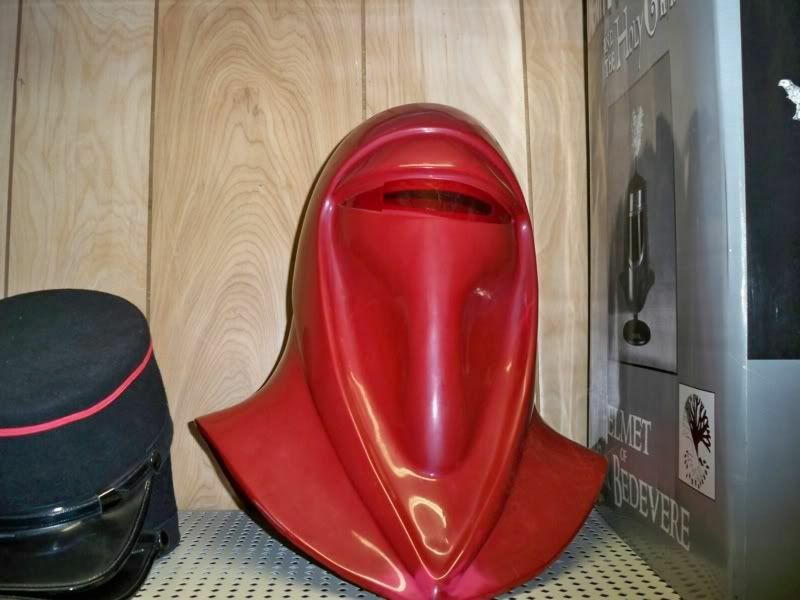 Rental Don Post 1996 Star Wars Emperor's Royal Guard. 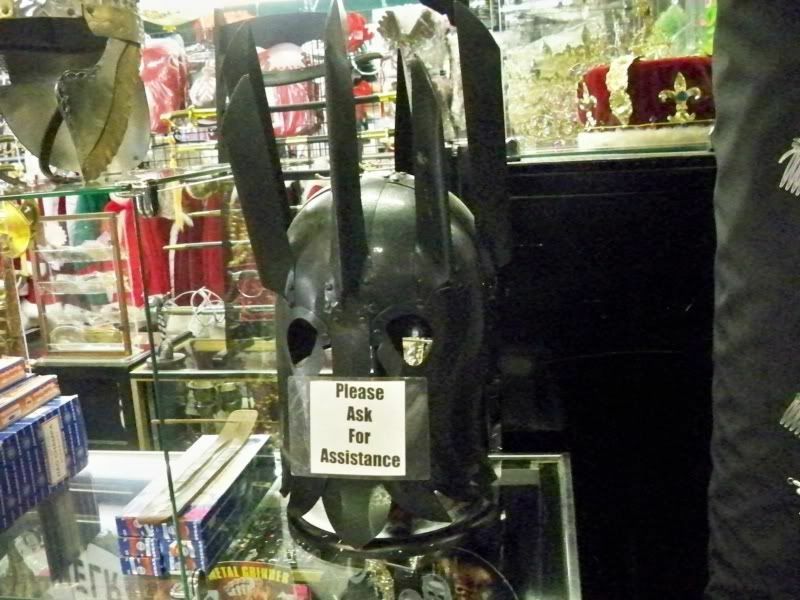 Great helmet to wear if you like "I can't get this thing off of me" panic attacks. 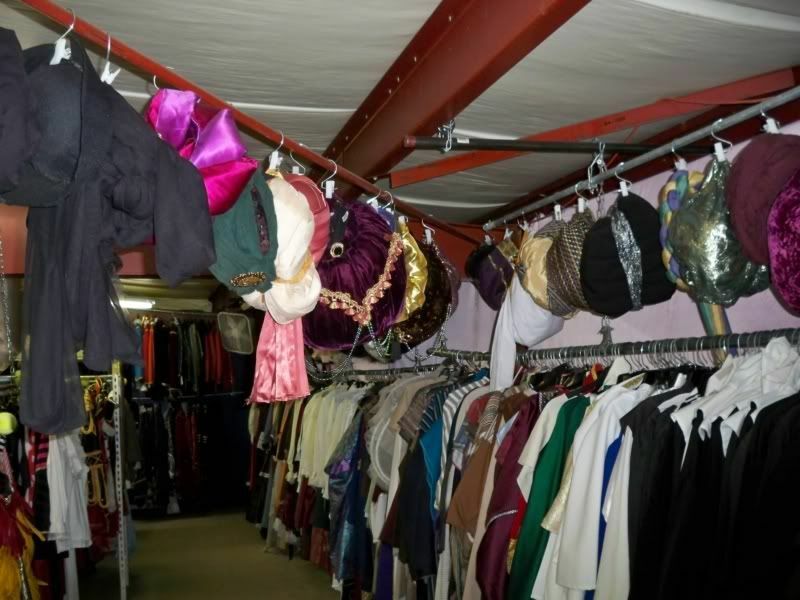 I wish I had more time to pull out and show some of Nancy's amazing work on the rental costumes. I would love to feature some of the ones that were her favorites to create. as well as any comments you might have. I also invited them to join the HMA online. Thanks so much to Gary, Rufus, the girls, and Nancy. And to my wife for patiently waiting while I took the photos! Great post and great photos, Tom!!!! You Sir have done The HMA proud! 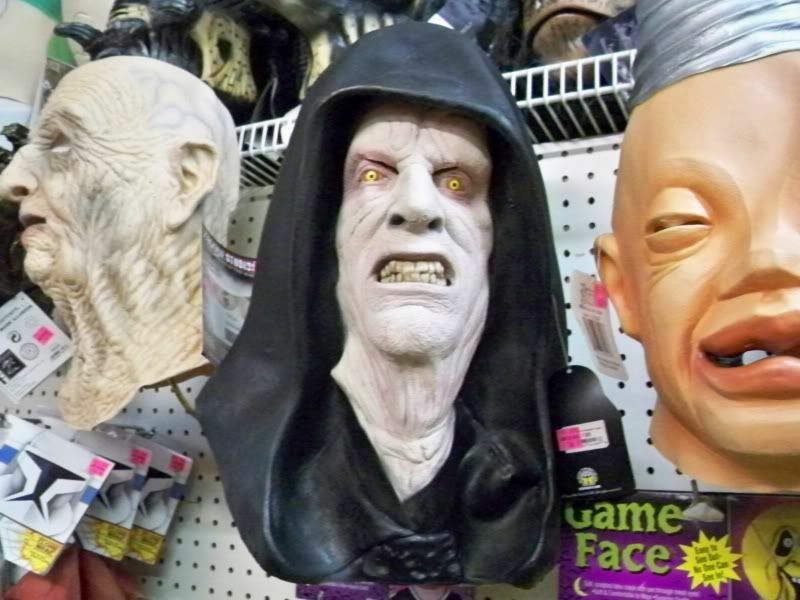 Call me crazy, but I kinda dig those Puppet Master masks. Again, great post! Thank you, the whole process was fun and I learned a lot. 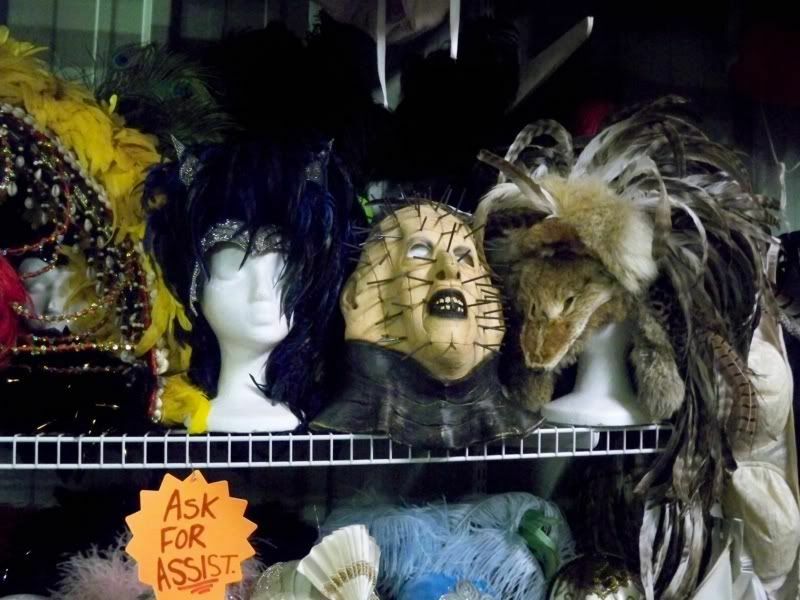 Prep, the visit, taking the photos, talking with the owners and staff, working on the photos and identifying some of the masks, posting them, I enjoyed it all! 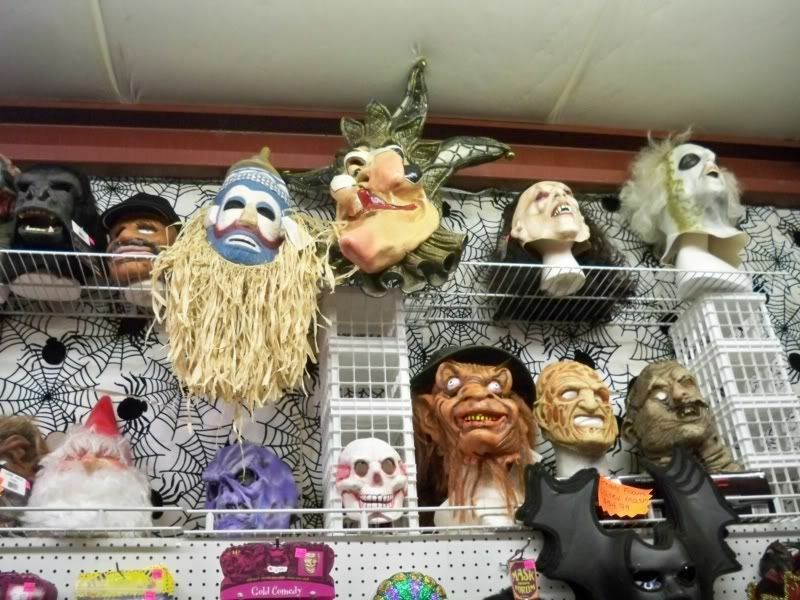 Woah, more Puppetmaster masks? 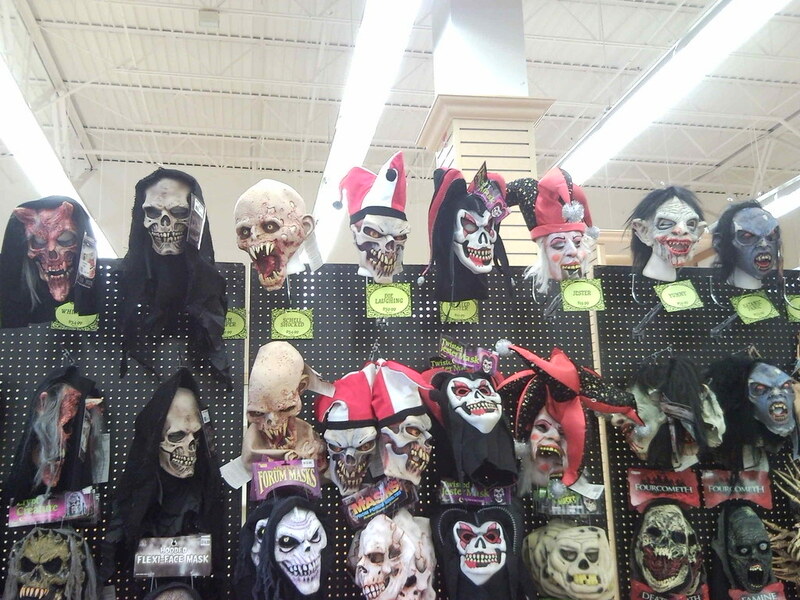 I had no idea they released Jester and Tunneler. 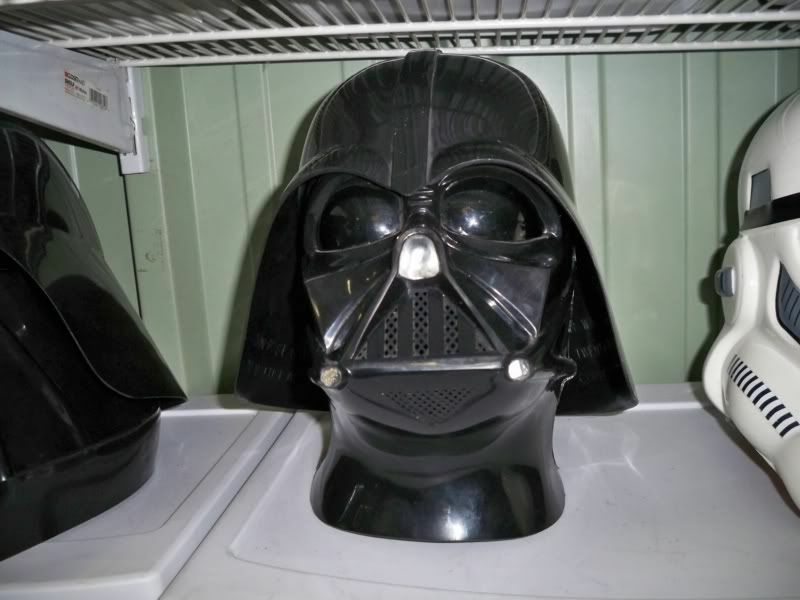 I'm going to have to pick these guys up soon. Blade has been out forever now. Great pics !! 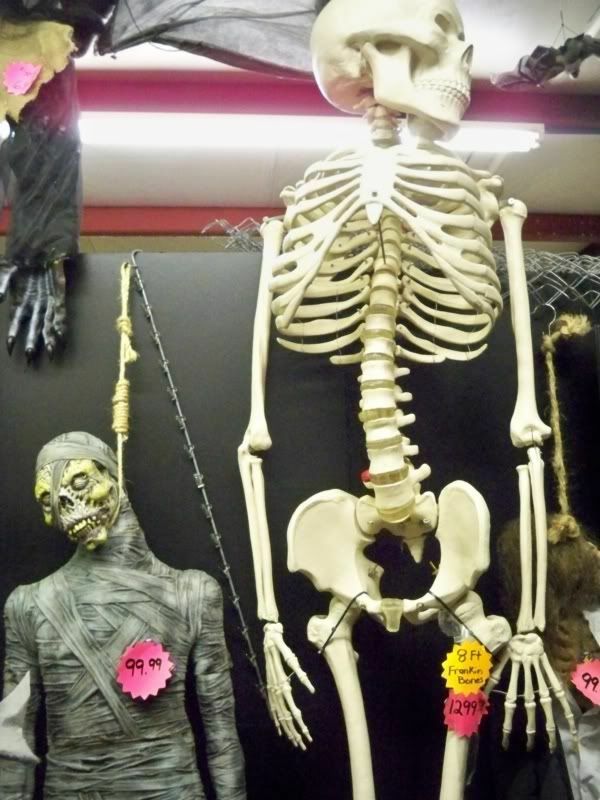 I really like the huge skeleton ! Thanks for posting the pics. Great thread! 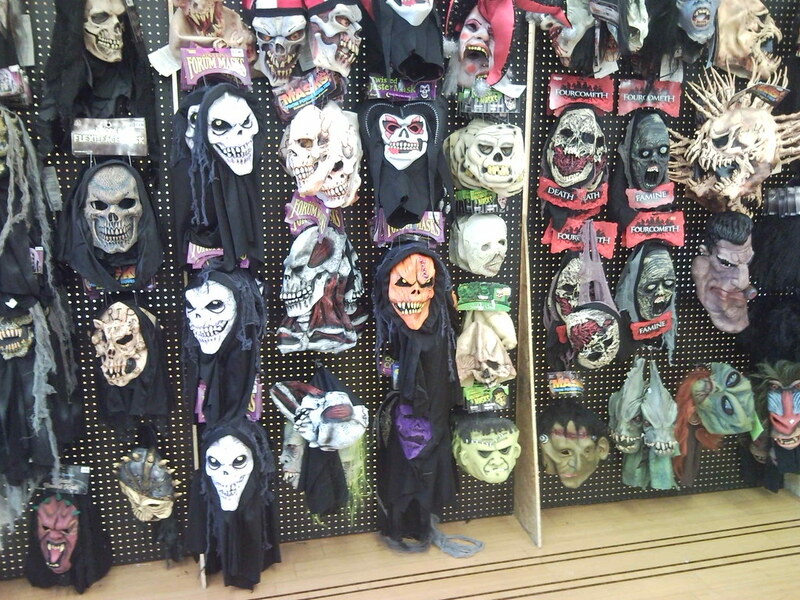 I love looking at all these masks!! 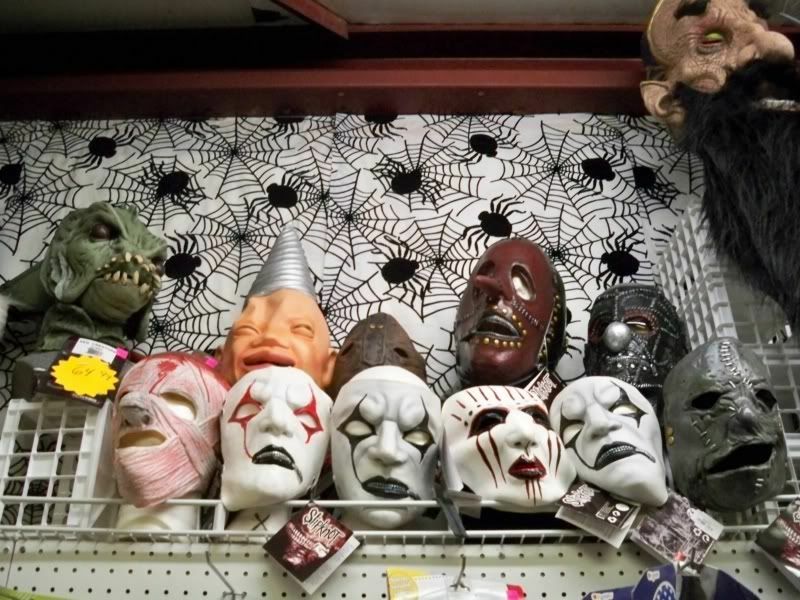 When I was a kid Woolworths would have the masks lined up in the aisles for Halloween, and they would stick them on rolls of paper towels. I miss those days.